Baby Boomers make up a disproportionate percentage of the North American workforce and as they near retirement age, companies are going to have some very important decisions to make regarding how they will handle this change. The larger the company, the more the effects of the baby boom retirement will be felt. There are more than 77 million baby boomers in the United States alone. That’s a lot of people to account for and replace over the course of the next two decades. Baby boomer retirements have already started to come in droves but will continue for the next fifteen years or more, which presents a huge problem for large companies where boomers typically hold high-profile (often C-level) positions. Additionally, many companies are owned and operated by baby boomers who plan to retire in the comings years. For baby boomers that have spent their whole lives building their business, this can be a huge source of concern for the rest of the business. Everyone feels better when you have a plan in place. The risk of baby boomer retirements is even more serious during a booming economy. They’ll feel more secure about their position and more willing to walk away from their working life. Waiting too long to plan for a spree of retirements can put any company in a bad position and risk their future. Baby boomer retirements mean a lot more work than simply just updating an org chart. They mean succession planning, training, preparation, and putting yourself in a position to deal with these retirements as they come in the best way possible. Succession planning is absolutely critical when it comes to dealing with baby boomer retirements. You have to have a plan in place to ensure that you can transition as smoothly as possible once your aging employees decide that it is time to enjoy life in retirement. Too often we see companies wait until it is too late to start putting a plan in place and as a result, they simply just aren’t able to execute effectively. Every company needs to have their own custom succession plan in place, and each plan might be specific to a certain employee. Looking internally or externally for replacements will depend on a number of factors, but having a plan (and a backup plan) in place to replace retiring baby boomers is essential for facilitating a positive outcome for everyone involved. Whenever someone retires from a senior position within a company, there will be some changes and challenges to overcome. By taking care of succession planning early and ensuring that you have your bases covered, you can ensure that you are not taken by surprise by a retirement and have a plan in place to execute to limit the fallout from unexpected retirements. There will always be situations where people are forced to retire unexpectedly. Maybe a medical problem necessitates their retirement. Maybe an interesting opportunity catches their eye and they decide that it is time to move on. Still, most people retire with a plan in place and foresight. The sooner that you can facilitate these conversations (without your staff feeling like they are being pushed out) the better it will be for both the company and the employee. Talking to baby boomers early as they approach retirement allows you to start plans for downshifting their current role as they approach. You can begin training someone to take their position. The key here is to facilitate an environment where employees feel taken care of to the point that they will willingly discuss their retirement plans with the company. If they feel like having this conversation will get the ball moving on their replacement before they are truly ready to retire, they will avoid the conversation completely. 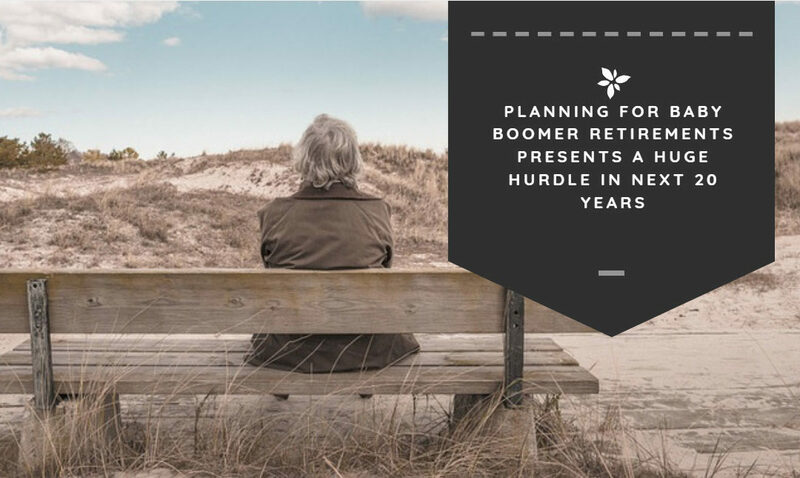 Once you’ve talked to your staff that is nearing retirement age, you can begin to filter out those that have immediate plans for retirement from those that are planning on sticking around for a while. Of course, that doesn’t mean that there won’t be some unforeseen retirements that come down the pipeline, but you can deal with those as they arise. Prioritize planning for those that have active plans to retire in the near future. With them, you can put together a strategic transition plan that aligns with both their retirement plans, and the company’s plans for the future. Finding that happy medium is important for keeping everyone happy and finding the right solution for both sides. Baby boomers have spent a lifetime honing their skills across a range of different categories. Since they are so experienced, that makes them particularly difficult to replace. Identify what skills you will be losing when each person retires and determine whether their departure will lead to a skills gap within your organization. This is especially important if you have two people that may retire at the same time. Previously, you might have been able to lean on other experienced staff members to fill those gaps. But, as we start to approach a time period where baby boomers will be retiring more often, there is likely to be some overlap between retirements that could increase the chances of you having to deal with a skill gap as retirements linger on the horizon. It’s better to hire too soon than it is to hire too late. Fill vacant roles within your company, or roles that could become vacant as baby boomers retire and people step up to fill in their positions. Both your current and future need to be on the top of your mind when making hiring decisions as we approach these critical retirements years. Baby boomers’ booming retirement years leave many companies with an uncertain future. The best thing that they can do to prepare is to take as much uncertainty out of the equation as possible before the retirements actually come. Speak with your employees to get a feel for when people of a certain age might be planning on retiring. Then, work with them on succession planning and knowledge transfer to ensure that when the time does come that you are in a position to smoothly transition and recover from their retirement.